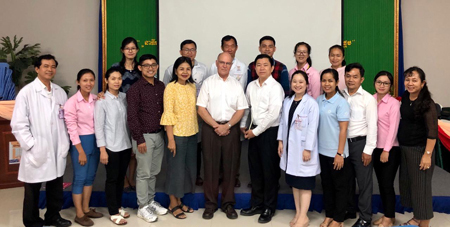 On behalf of Partnering For Health, James P LoGerfo, MD, MPH, FACP, met with Preah Kossamak Hospital Diabetes Center physicians, head nurse, and social workers to examine associations between diabetes, depression and anxiety. 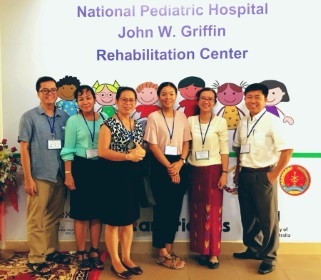 The Center has begun actively screening for depression and anxiety among outpatients. The next step targets support to the physicians to establish clinical protocols for treatment and linkages with the social workers and psychiatrists. Hard to believe that the DSW is celebrating its 10th anniversary. Mara Schneider who was the AVI volunteer who helped to open the doors with Ms. Dalin Meng, founding Head of the DSW dropped by from Tasmania to celebrate with DSW families. 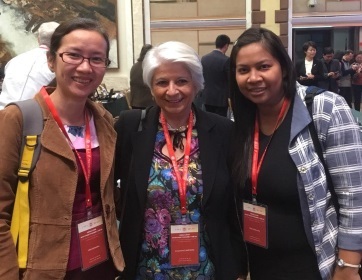 The DSW Head Kanika Ung was invited to participate in the 30th Anniversary of re-establishing social work in China co- sponsored by Peking University and Hong Kong Polytechnic University. 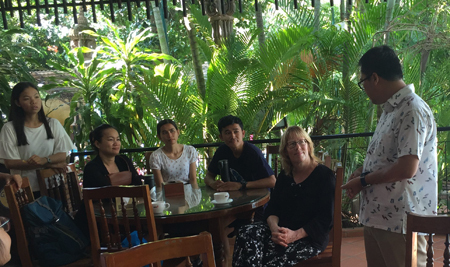 Kanika with IASSW President Annamaria Campanini (L-r) and RUPP Vice Dean Chanvuthy Keo. This past year marked opening of the building housing the new National Cancer Center. Medical social work continues to be novel and difficult to recruit as working in the health care sector can be challenging work. 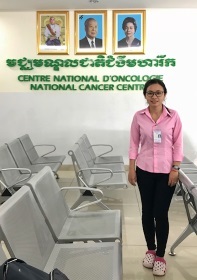 Partnering For Health welcomes Dalen Eng, BSW Class of 2014, to NCC. 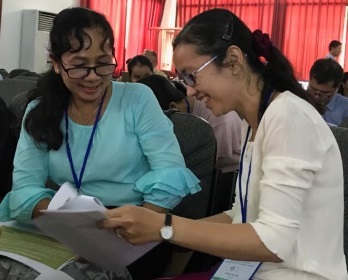 Kimkanika Ung and Samnang Chea were welcomed by an engaged audience with their presentation “Pioneering Competency-Based Social Work Education & Growing the Social Work Profession in Cambodia”. The audience asked questions and a lively discussion ensued. 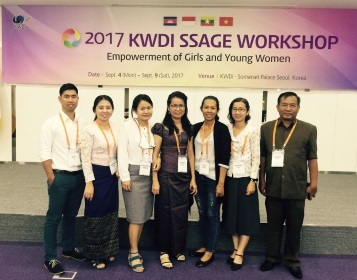 The DSW and the Faculty of Development Studies were invited by Ministry of Women’s Affairs, along with Cambodia Development Council and LWD, to attend a workshop in South Korea on set and share an agenda for gender equity organized by the Korean Women’s Development Institute. The theme of the workshop was “Empowerment of Girls and Young Women” and focused on three areas, education, health, and profession.